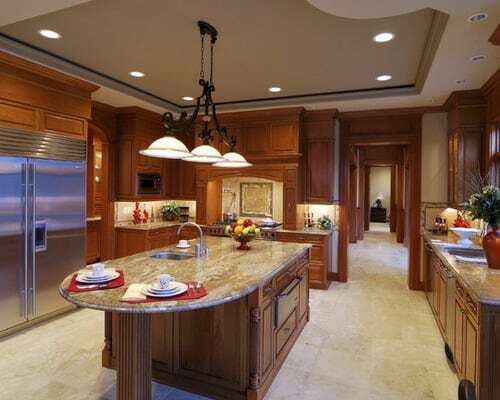 Kitchen Lighting Layout – Designing and laying out kitchen lighting can be challenging. You must be in tune with your wants and needs, and there are no hard and fast rules to follow. The kitchen is a place where most people spend a great deal of time, so the kitchen lighting should be task-oriented but appealing. Thinking about your kitchen area by area may help you decide on a design and Kitchen Lighting Layout that will make you happy in the long term. Try to eliminate any possible shadows. 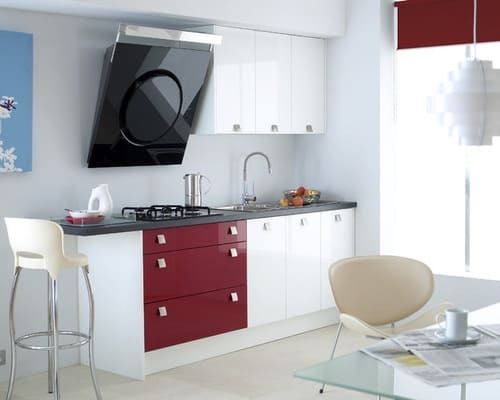 Permanently dark areas in the kitchen are often neglected and make working difficult. Kitchen Lighting Layout should aid in tasks while providing visual accent to the broader layout. Choose fixtures that are aesthetically compatible with the other elements of the kitchen, such as the cabinets and appliances. 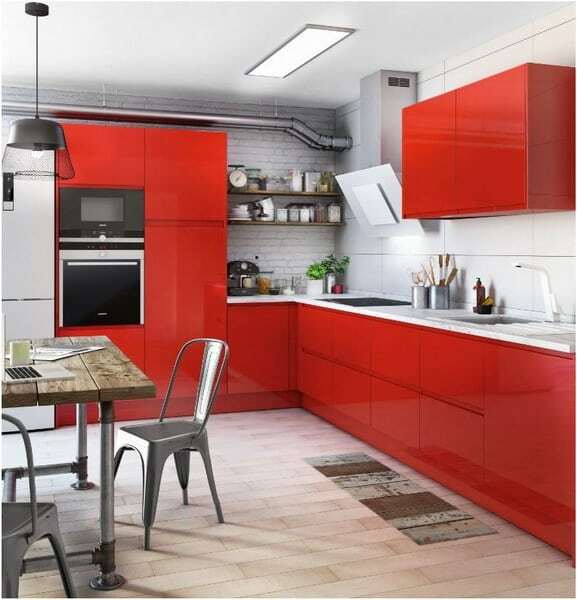 Some kitchens also double as dining spaces, which adds to the complexity of the lighting requirements. A large part of kitchen lighting design is choosing your bulbs and the types of lights you will be using. LED and fluorescent lights are popular choices for their energy efficiency. The downside to LED and fluorescent technology is that the light is often cool, meaning it gives off a low-energy blue-toned light. Increasingly, manufacturers are designing fluorescent and LED lights with warmer tones. Another downside to fluorescent and LED lights is that, while they can be dimmed, the dimmer switches themselves can be expensive. For general overhead lighting, surface mounted fluorescent lights offer good coverage. Recessed lights offer even task lighting with a subtle visual effect. Incandescent lights provide warm, pleasant light, although they are not as energy efficient. Halogens are both warm-toned and bright. However, they actually be too hot and use excessive energy. Track lights are often a good option in remodel situations when the ceiling space is not easily accessed. Under cabinet lighting is the best way to illuminate countertops located beneath cabinets. There are many options, with slim fluorescents and low voltage lighting being popular options. New lights with LED technology are becoming increasingly popular. These lights are durable and last thousands of hours longer than fluorescents or incandescents. Plus, LEDs are very energy efficient. Islands and peninsulas are often incorporated into kitchen lighting layouts to expand the available workspace. These areas are prime candidates for hanging lights, such as pendants. A chandelier mounted centrally in the room can make a dramatic statement when combined with a dimmer switch. If you choose hanging lights, make sure they are made of an easy-to-clean material such as glass. Fabric shades can become soiled easily from the vapors and oils cooking activity creates. If your kitchen will also include a dining space, consider installing lights that are dimmable. Lowering the lights for a meal makes a space feel more intimate and also saves on electricity costs. A single hanging light over a table is a popular option that allows you to express your aesthetic depending on your light choice. Having lots of different types of lights will also mean having multiple switches. Being able to control the lights separately ensures that you can adjust the lighting to fit your needs of the moment. Being able to control the lights from multiple locations, known as three- and four-way switching, ensures that you have a switch close to where you work. 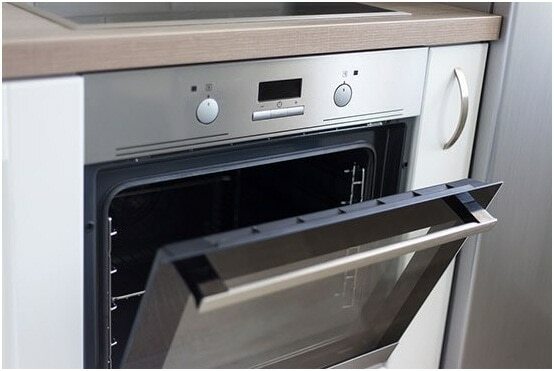 Use dimmers wherever possible to allow you the freedom to set the mood or allow maximum light for cleaning and cooking.